Standard Chartered PLC, ‘the Group’, has appointed Simon Cooper, 48, as CEO, Corporate and Institutional Banking (CIB). Simon will join the Group in April 2016. This appointment is subject to final regulatory approval. 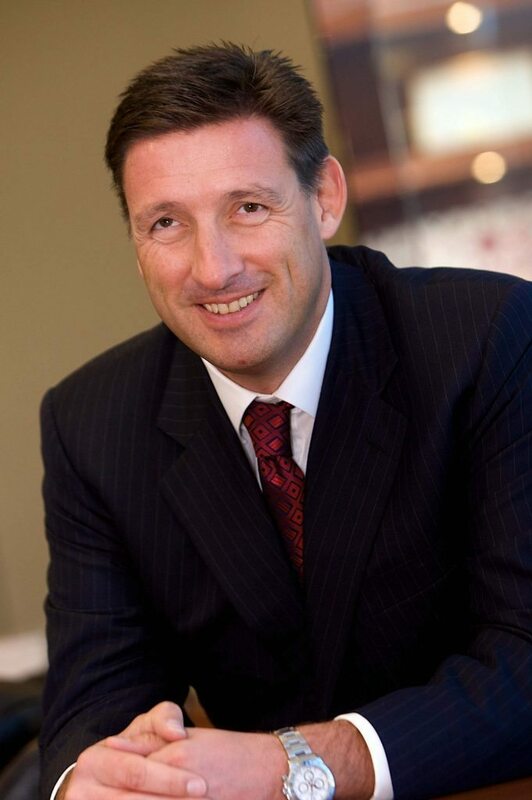 Simon joins the Group from HSBC, where he is currently Group Managing Director and Chief Executive of Global Commercial Banking, with responsibility for the strategy and direction of the Commercial Banking division, one of HSBC’s largest and most profitable businesses. He joined HSBC in 1989, and has held a number of senior level roles there, including Deputy Chairman and CEO, Middle East and North Africa; CEO, Korea; and Head of Corporate and Investment Banking, Singapore. He also has significant experience in corporate finance, corporate banking and transaction banking. Simon will be responsible for executing the new strategy announced on November 3, across the Group’s largest business. This includes improving returns on $40bn of assets, investing in products and services where the Group has an advantage, such as RMB, adding new clients where we can make returns safely, and delivering greater efficiency though investment in systems. Bill Winters, Group Chief Executive, Standard Chartered PLC said: “Simon is at the top of his game as a world-class banker with unrivalled experience across our markets and our businesses. He will join the Group at a crucial time for the CIB business as we focus on delivering higher returns and selectively growing our client base, boosting investment in core products and services, such as RMB, Transaction Banking and Financial Markets, and managing our cost base. Our ability to attract talent such as Simon, Mark Smith and Didier von Daeniken to our senior level positions clearly demonstrates the attraction of the bank’s franchise and markets. We have the right team in place to turn around the performance of the bank and deliver shareholder value. I’d also like to thank Mark Dowie on the significant progress he has made in beginning the turnaround of the CIB business. I asked him to cover this role on an interim basis, and his contribution has been exceptionally valuable. I look forward to confirming a new role for him in due course.” Simon Cooper said: “I am very excited by the opportunity to join Standard Chartered and run its largest business: This is a chance to play a leading role in the turnaround of a great franchise. For many years I have both competed against, and worked with, Standard Chartered. I have observed its strengths and also seen areas where I think it can improve. I want to put this knowledge to good effect and continue the excellent work that Mark Dowie has begun. My focus will be on building a sustainable, client-focused business that is safer and with higher returns. I intend to leverage Standard Chartered’s franchise, expertise and its people for the benefit of our clients and shareholders.” Simon will report to Bill Winters, Group Chief Executive, and will join the Group’s Management Team on his appointment. He will work closely with Mark Dowie, Interim CEO CIB during a thorough handover. The Group will provide an update on Mark’s role at the conclusion of this handover period. The Group announced Mark Smith will join as Group Chief Risk Officer from HSBC in January 2016. Mark will join the Management Team on his appointment. The Group also recently appointed Didier von Daeniken as Global Head, Private Banking and Wealth Management. Didier joins from Barclays in March 2016.